All the little people who serve Hollywood’s ‘A’ list celebrities: the security guard who passes their windows every night, the ladies maid who makes up their disheveled beds each morning, the ‘wannabes’ who risk exploitation in the hopes of fulfilling their dreams, these are their stories. Black, white, gay, straight; from Orson Welles and Frank Sinatra down to lesser names you never knew, and some that are thinly veiled, these stories reveal the appetites and angst of the powerful and the weak. 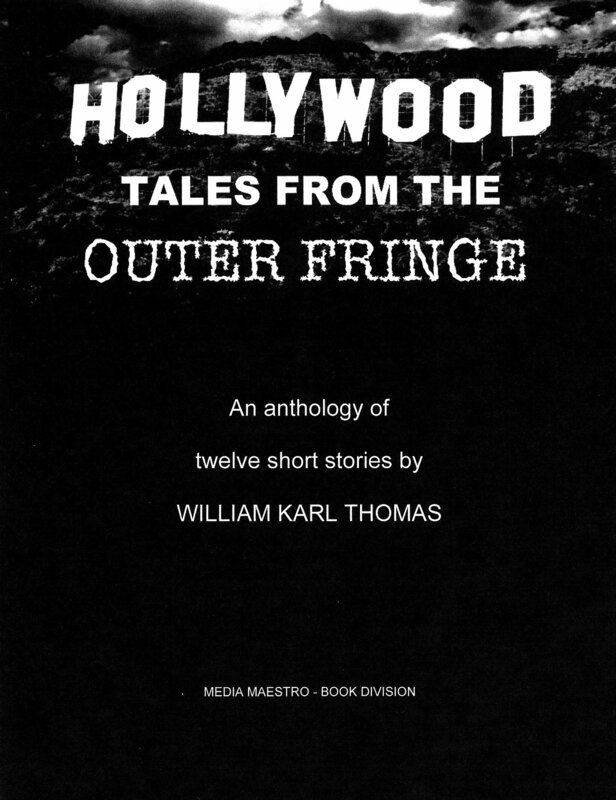 William Karl Thomas’ career as a screenwriter (he was controversial comic Lenny Bruce's only writing collaborator), cinematographer, photo journalist, and nightclub pianist covered the 1950's and 1960's of Hollywood's 'Golden Era,' and brought him in contact with 'A' list celebrities and the armies of 'little people' who served them. This anthology reveals the intimate relationship between the two set against a historically accurate and richly detailed background. Critics describe Thomas’ work in terms such as "he superbly evokes the seedy atmosphere of the cheap Hollywood clubs and coffeehouses" and "his work sometimes reads like a Bogart script." If you love Hollywood, and particularly its down and dirty side, you've gotta love the torrid twisted Hollywood Tales From The Outer Fringe. (5 out of 5 stars) Superb collection of Short Stories! As a boy, I spent summers in Hollywood, Ca. with my Father around the colorful characters that William Karl Thomas describes in this excellent collection of short stories. This author has that special talent of telling a story on several levels. While so many of the players were struggling to be part of show business and worrying about rent, food, getting work etc., they possessed a happiness that is not always guaranteed with fame and fortune. Karl has that knack for having these people interact with the rich and famous that only one who was actually there at the time can describe. I was sorry to see this book end, as one story was as good if not better than the next. Book brought back so many fond memories of my adolescence in a place so unique during that era. The first thing one learns in writing classes is "Write about something you know!" And it is obvious that Karl has not deviated from this rule. The stories are both meaningful and fun. I am a William Karl Thomas fan.